My business philosophy revolves around three key elements: service, integrity and communication. These same viewpoints are shared by American Dream Realty, making us a dynamic team. I am dedicated to helping my clients achieve their goals. With over a decade of sales and marketing experience, I understand how to address the needs of my clients and what it takes to bring a transaction to a successful conclusion. As an advocate in the field, I pride myself on working hand-in-hand with my clients to help them achieve their goal of buying or selling a home. I invite you to rely on me for all your real estate needs. 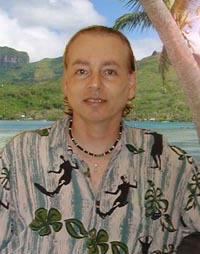 Gary currently lives in Honolulu with his wife. Born and raised in New York City, Gary has been a Hawaii resident since 1987. Traveled throughout the world over 40 countries.